A various artits compilation selected by Mizoo. 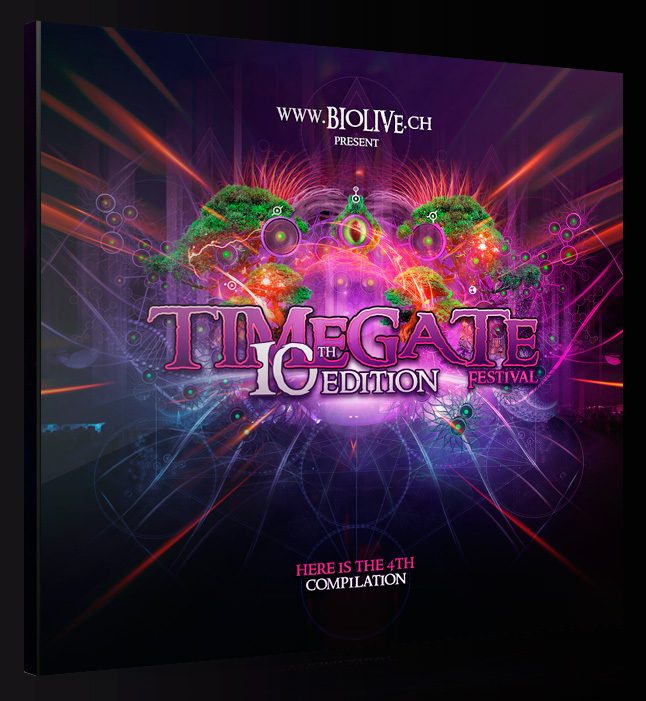 For the 10th edition of their « TimeGate » NYE festival in Swizterland, Biolive is proud to present the 4th chapter of the Timegate compilation series featuring Swiss and International artists. An atmospheric deep techno intro by AES Dana, followed by progressive tunes by Sensifeel, leading to a psytrance flight with Telephatic Vision, Lyctum, Nukleall, Sonic Species, Hyperfrequencies, Brainiac, Paul Taylor and a deep progressive epilogue with Electrypnose. Selected by dj mizoo, a passionate dj since 1992. Masterised by Vincent Villuis aka AES dana at Ultimae Studio. Enjoy the music !